We travel already six hours in a Minivan when we arrived at the Bus Terminal in Krabi Town. We come from Nakhon Si Thammarat. It was in the afternoon and the first what we did at Krabi was we eat a Pizza at Viva Restaurant. After we took our backpacks and walked up the Th Utarakit Road to the “Cha Guesthouse”. 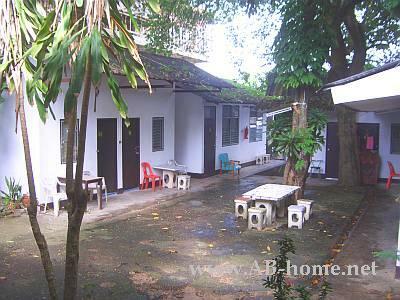 We paid here 200 Thai Baht for a Room with Fan and a bathroom with Toilet. After we took a shower we walked to the center to buy some Souvenirs. In the evening we had dinner on the Nightmarket at Krabi in south Thailand. The Night Market is next to the Mae Nam Krabi River. From the plastic chairs on the Market you have a good view to the Chalk Stone Mountains and the Mangrove Forrests on the other side of the Mae Nam (River). The Krabi Province is famous for travel activities, wall climbing and of course for Koh Phi Phi Don. On the next morning we woke up early because we had ferry tickets the archipelago of Phi Phi. We took a breakfast at the Kwan Café in Krabi Town. After we walked to Krabi Pier to reach the Ferry to Thailands Islands in the Andaman Sea. Krabi in Southeast Asia is a nice Travel Destination. The river net and the chalk rocks are uniqe in this Area. The shopping and food possibilities are nearly endless compared with other Travel Destinations in Asia. 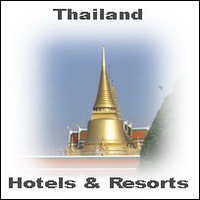 For more Travel tips, Hotels, Guest Houses and Informations about Krabi look inside your Lonely Planet Thailand.